Toggl is a time tracking web service that will give you the ability to easily coordinate tasks in both personal projects and in large collaborative environments where many people must contribute to their common end goal. 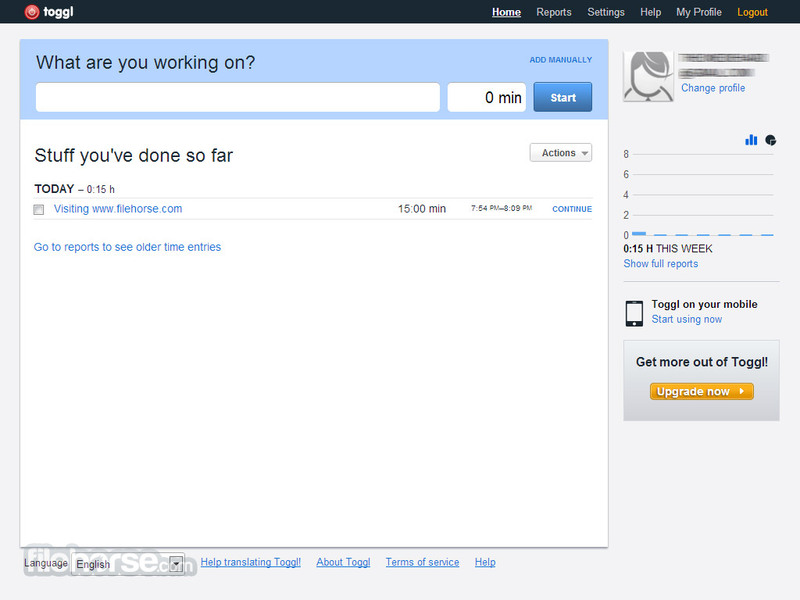 Awesome time tracking software online! Toggl features all the necessary tools to make this service happen, and streamlined interface and intuitive options enable everyone to adopt its way of working easily and effortlessly. Even if you are introducing this great service to a large business environment, implementation of Toggl will last mere hours and not days. Because Toggl is using all benefits of cloud computing, you and your collaborators can track projects not only on personal computers, but also on portable devices such as iPhone, iPad and Android. Toggl can be accessed for free in the initial 30 day trial phase, after which you have to switch to a paid subscription (only $5 per user/month). Simplest form of time tracking! Working on many jobs in front of your computer can regularly cause users to lost track of time, and if time the resource they lack the most then some form of time tracking software can definitely help them to better organize their day, see statistic about how much time they are spending for each task and help them to better bill their jobs, organize work pipeline and create more productive work organization that can increase your output and quality of work. This and much more can be done not with the help of standalone apps, but with cloud-powered solutions of which Toggl is regarded as one of the best ones. Founded in 2006, this very good looking and highly functional webapp managed very quickly to attract large worldwide audience, being reviewed favorably all internet media and receiving regular monthly updates that are often driven by the wishes of its large community. Awesome time tracking software online! Toggl is a very useful web application that allows both home users and professionals to take full advantage of time tracking features that can help them to better organize their day, schedule, track various aspects of their daily activities, and provide great data-tracking and analytic overview of work you and your team members performed over previous days. By having this app present and integrated into your daily schedule, anyone can effortlessly become one of the best replacement services for timesheets, which is clearly what many startups, companies, businesses and large popular brands already managed to do (some of the most popular brands that have integrated Toggl into their work pipeline are Dell, Stryker, W20, Nodes, Motors.co.uk and many others). So, what are the core capabilities of this time tracking service? It all starts of course with the easy and quick way to set up timers, enabling you to track everything you are working on and even simpler procedure to stop your timer when you are done. If you forget to stop some timer, you can manually enter your timings, enabling to you to easily track how long your jobs lasted, which is good both for employees, students and freelancers. Each of the entries can be tagged, they can have different hierarchies (Client, Project, Task, Billable (with the amount of money), Consulting), app can work both online and offline (as long as your browser has loaded the webapp), and analytics suite enables you to get instant breakdowns of your project timings and discover how much time some specific jobs are taking away from you. Togglhas an excellent interface, created to enable users not only to enjoy in its reactive and interactive web 2.0 design, but also to easily navigate to all tools this app offers and easily track time of individual tasks, manage the overviews of their previous days, create reports and see the analytics that can help them work better. 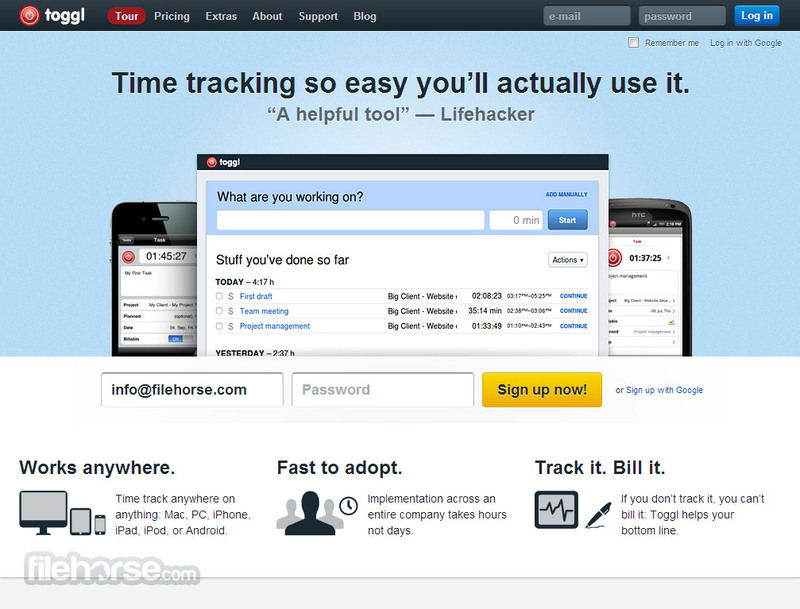 Awesome time tracking software online! For offline users, Toggloffers very lightweight, fast, and fully integrated standalone client app that has all the features of the webapp, packaged in very intuitive and easy-to-use interface. 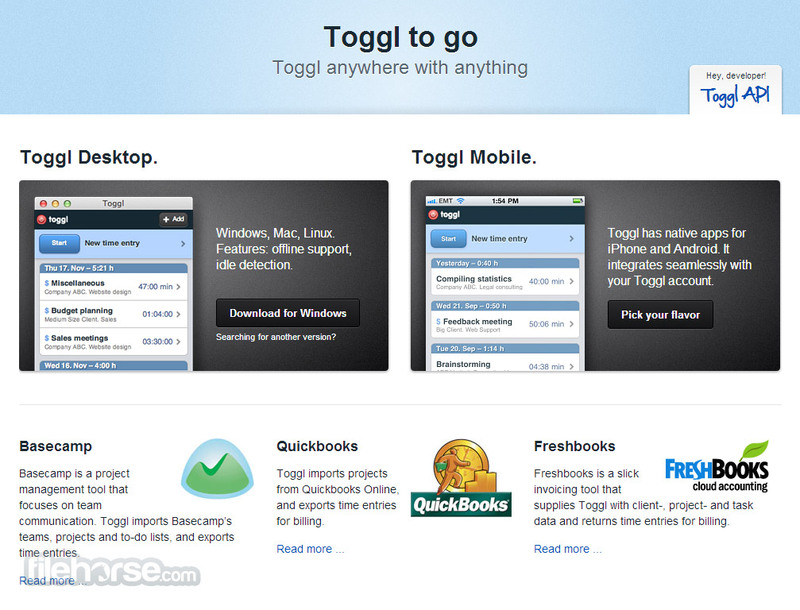 Mobile and tablet apps of Toggl represent mix between look of web interface and this offline Windows/Mac/Linux application. Toggl can be used for free, but full set of features in unlocked with the premium subscription that costs only $5 per month per user. With userbase that counts over half a million of people and over 90 million hours saved with good tracking and reorganization of jobs, Toggl represents the best way anyone can manage their daily work. New users are up and tracking in under 12 seconds. After that, it’s one-click tracking forever. 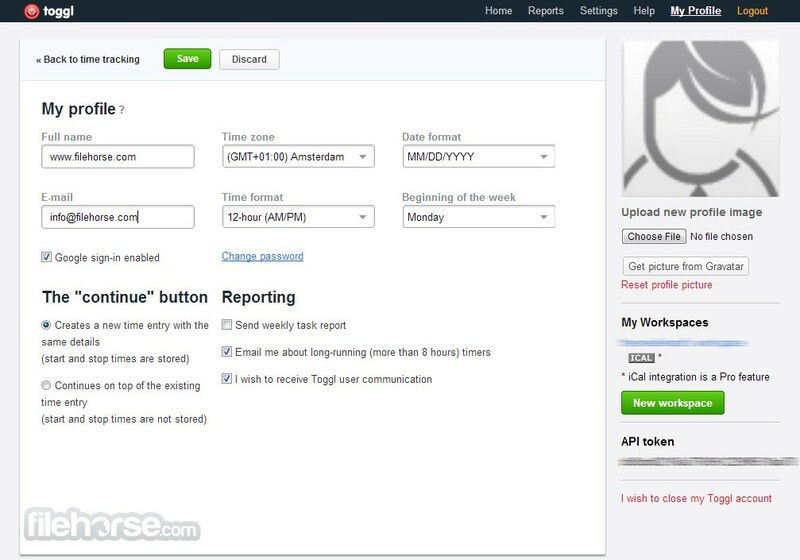 Toggl supports the way you work: live tracking or the timesheet approach. On the desktop is the fastest way to track -- with Toggl in the taskbar or dock and always available, even when you’re offline. Works on Windows, Mac, or Linux. Track on the go. Toggl liberates you from your desk for more productive output. Native applications for both iPhone and Android. Toggl is a team player. It automatically syncs with Quickbooks and Freshbooks. Import projects; export timesheets. Find out immediately what team members are doing: instant feedback in the name of efficiency. Working alone you can track with a pencil and paper. Add a colleague and things get complicated. Toggl is designed for teams from the ground up. It accommodates up to 200. Awesome time tracking software online! Assign different rates to each team member or for each project or client. Choose your currency. Round up or down. It’s insanely flexible. Budget time for tasks. Pre-define tasks for team members. View actual hours versus estimated. Observe in real time as worked hours approach budget.